Gardening supports a gigantic £6 billion a year market. One of the biggest leisure activities in the UK, it caters for the horticultural needs of the three quarters of UK adults who have a garden or allotment. According to the HTA’s Garden Market Analysis report, its growth is attributed to the pursuit of well-being, and an interest in ecology and wildlife. 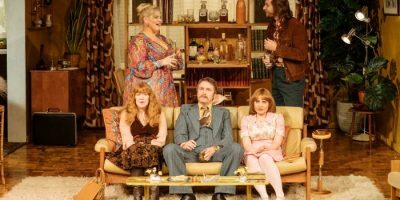 A recent economic development has led to concern about attracting young consumers, because contemporary young people are less likely to have a garden which belongs to them; therefore they might be less inclined to invest in it. At the other end of the demographic, people are living longer and their physical limitations make them potential consumers for labour-saving equipment. Britain’s high streets might have lost their appeal, but our need to shop is acknowledged by garden centres creating general shopping experiences, providing restaurants and launching seasonal events, so that the gardening year fully exploits every month. Taking these factors into account, the prospects are good for the industry. It might look as if the most ardent allotment holder has gone into hibernation at this time of year, but our dormant gardeners will be poring over gardening catalogues, dreaming of perfectly striped lawns, wide prairies of flowers, a net-protected grape harvest … Catching sight of a random seed catalogue, whilst the sleet hit the window panes, I became interested in how it would secure its share of the lucrative market. The D.T. 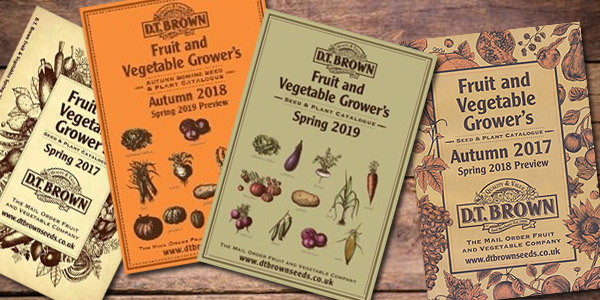 Brown Fruit and Vegetable Grower’s Seed and Plant Catalogue Spring 2019 has a discreet grey cover with drawings of produce in understated colours, labelled in a cursive script. It evokes the genteel heritage of an Edwardian potager, though having a website places it firmly in the competitive market of the present century. So – what is D.T. Brown doing to persuade the customer? Well surely the most hesitant horticultural ego will be flattered by the invitation to trial a stalwart leek called Stocky F1, specifically designed for the British climate and reputed to have (and this is what charmed me) “excellent tolerance against Thrips”. 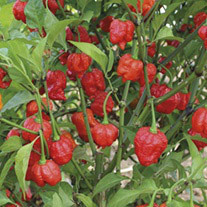 And which gourmet cook could resist the apocryphal “sensational heat” of Chilli Pepper Armageddon? Then there’s Pea Sweet Sahara, surely bred for an era requiring drought tolerance? Even a cursory glance at the seed catalogue reflects contemporary ecological pre-occupations such as pathogen-subduing green manure. Food fashion has inspired exotically named vegetables such as Kiseki, Misuna or Choi Sum Moulin Rouge, and as for freedom of choice, wow! There are 56 varieties of brassicas, 79 of potatoes, and a tremendous range of protein-rich legumes which surely reflects the shift towards veganism. Untraditional colours highlight our need for novelty and the five-a-day rainbow of foods regime for better health. You can have white beetroot Albina Vereduna, bronze Tomato Shimmer, and startling purple cauliflower Graffiti, if you really want to show commitment. 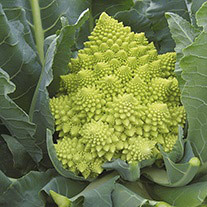 For something outlandish, which looks as if it’s been computer generated, choose the weirdly sculpturesque Romanesco Veronica. An offshoot of this is the emergence of the cult of superfoods such as kale, blueberries and sweet potatoes, popularised by TV chefs such as Jamie Oliver who studied the diets of people who live long. The farming of kale grew 57% between 2007 and 2012 and the catalogue offers 12 varieties in a range of colours, from the almost black Raven F1 to Redbor, which starts off pale green and matures to purple, and Emerald Ice, which has icy-white veining. Kalettes Mixed F1 is a cross between Brussels sprouts and kale. There are other combinations, such as Cabbice, the cabbage that thinks it’s a lettuce, and Cucamelon, which resembles tiny citrus-tanged water melons with the taste of cucumber: drought tolerant though not frost resistant. Well you can’t always cover every base. Such green goodness has become a feature of the smoothie generation – you can purchase Smoothie Mix containing three varieties of easy-blend kale. Reflecting our busy lives, or impaired mobility, seed producers have invented instant ways to sow properly spaced seeds, placed between layers of paper. If you can’t be bothered with all the pricking out and potting on, you can buy established small plants. They have addressed limited growing space by developing miniature varieties, so you can have a veritable orchard on your patio or a propagator on every window ledge. Acknowledging the ageing population there are labour-saving devices on offer. The AutoPot system means that watering can be left unattended for weeks! A cheaper version is the Big Drippa Watering Kit – what a great name! As well as convenience, the products stress efficiency of irrigation and water economy. In a highly competitive market, you have to cover all bases. Your local supermarket sells herbs, but does it sell 7 varieties of rocket? Does it sell Five Leaf Ginseng? Does it sell Absinthe Wormwood (complete with health and safety warning, urging you not to drink more than three cups of this Cola flavoured wormwood tea a day?) Probably not, but D.T. Brown will certainly provide you with this risqué Belle Époque experience. Impressed by Michelin starred food on Masterchef? Forget asparagus – you can now grow your own samphire, salsify, kohl rabi and scorzonera. If you are such a culinary connoisseur you will also be interested in the range of Exhibition Seeds (Grow for the Show!) designed for the competitive perfectionist. The catalogue also reflects current cultural trends, such as the huge popularity (second only to Christmas) of Halloween. Pumpkin varieties available include a startling white one called Pumpkin Casperita which we are assured is resistant to powdery mildew (phew!) and Pumpkin Cargo, which is excellent for carving. This is important since more people carve pumpkin than eat it. 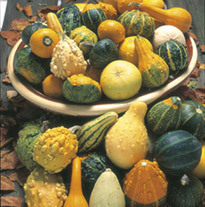 Charmant, Crown Prince, Jack of all Trades, Wicked, Atlantic Giant, New England Pie, Sunburst, Polar Bear and Harrier are just some of the extensive Squash and Pumpkin Collection: visually strong in colour and shape, though not, in my experience, remarkable in taste, and sometimes decorative rather than edible. Again, all bases covered. I have to stress that this article is based on a quick look through a random seed catalogue. I was impressed by its comprehensive approach to current market forces and the way it combines tradition by offering well tried varieties (like King Edward potatoes and heritage crops and Ailsa Craig onions) with current needs, and trends, as illustrated in new technologies and the latest in seed novelty. You can judge this book by its cover! Previous Post: Save Bixteth Street Gardens!